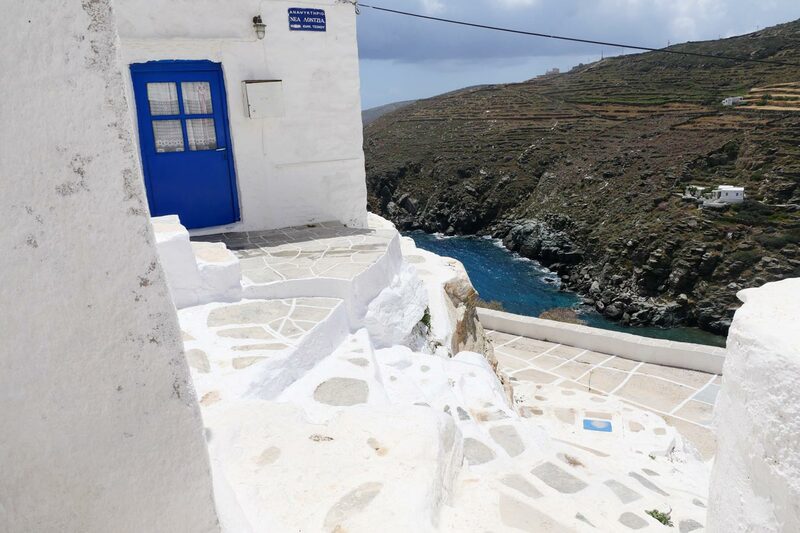 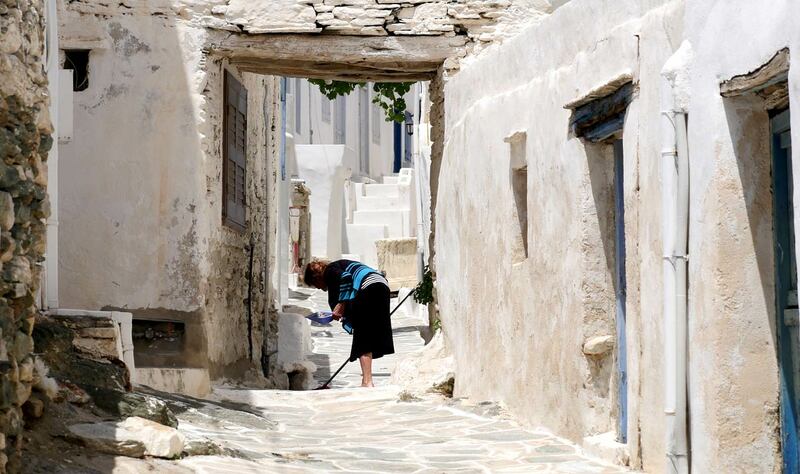 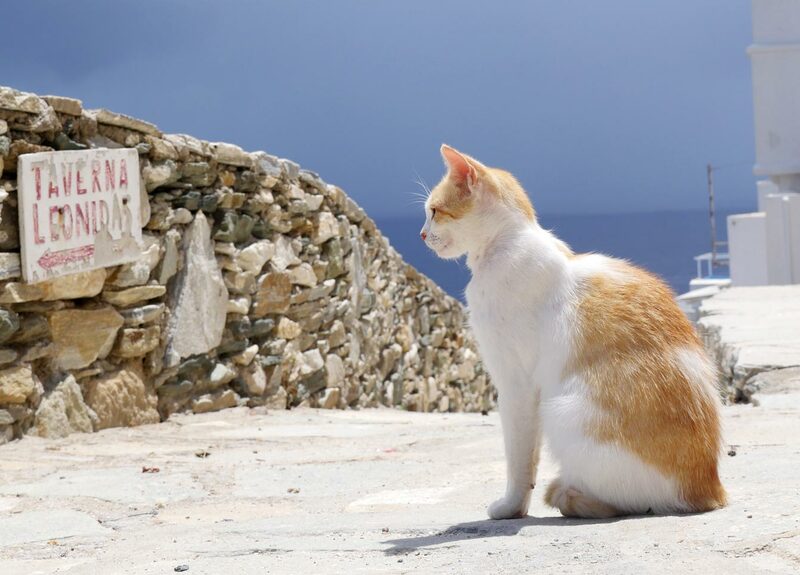 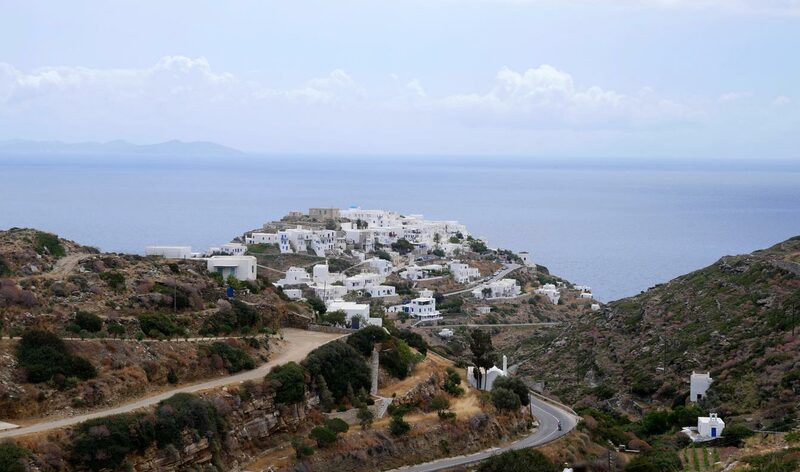 The ancient capital of Sifnos is a remarkable village located east of the island. 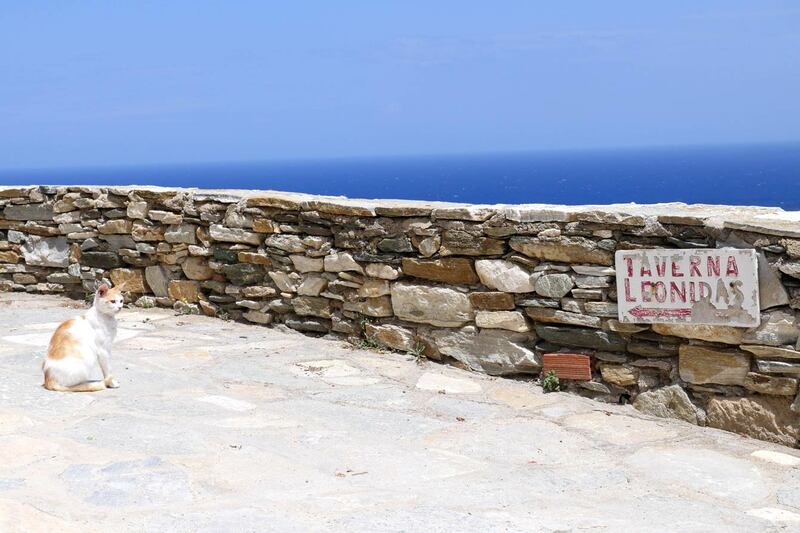 Kastro means fortress. 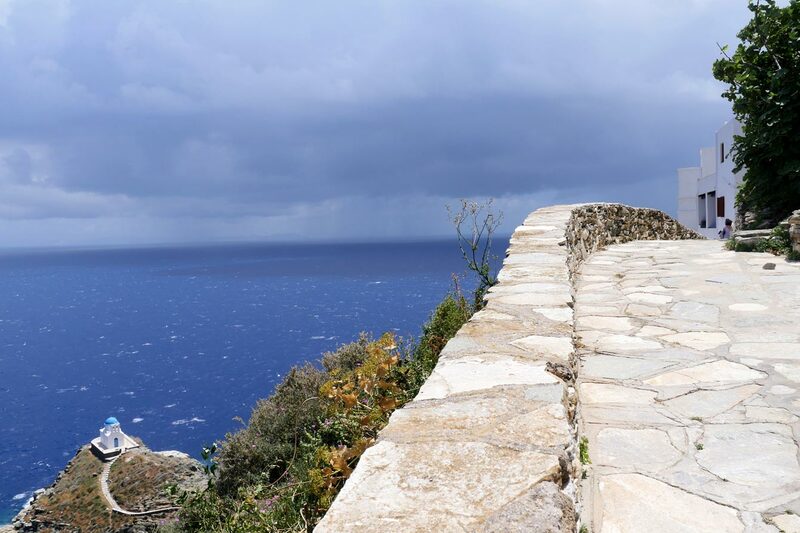 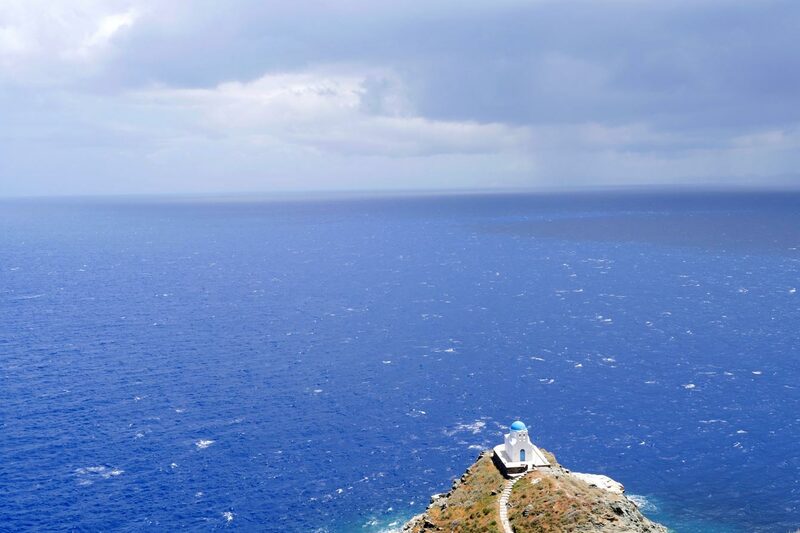 It was built on a rock at the edge of a cliff and offers an amazing panoramic view of the Aegean Sea. 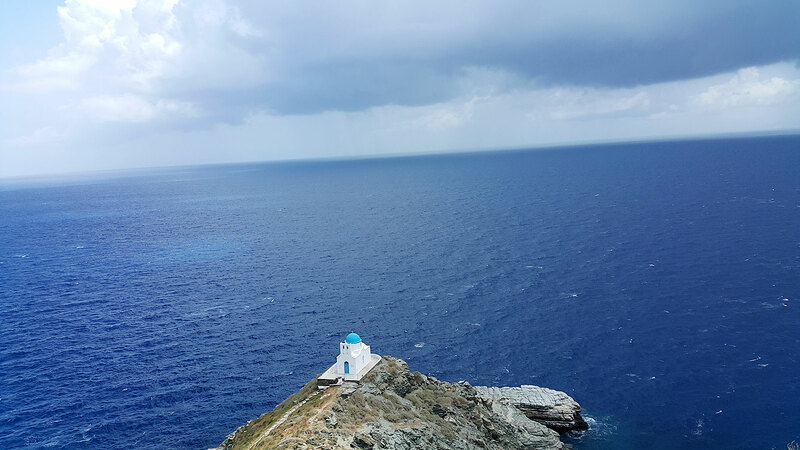 I had a stroke of heart when I walk near the wall when I stopped at the sight of a small chapel built on advanced: the picturesque chapel Efta Martyrs, stowed on his rock. 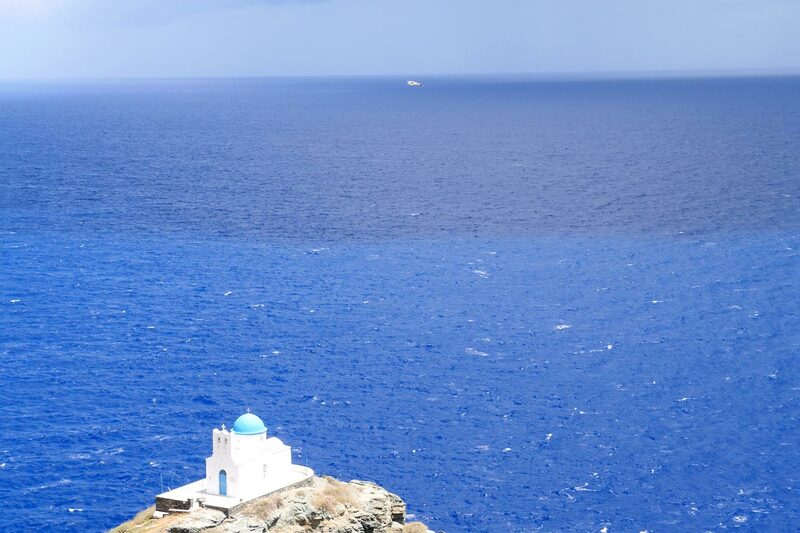 The immensity of the sea surrounding the small white chapel offers views breathtaking. 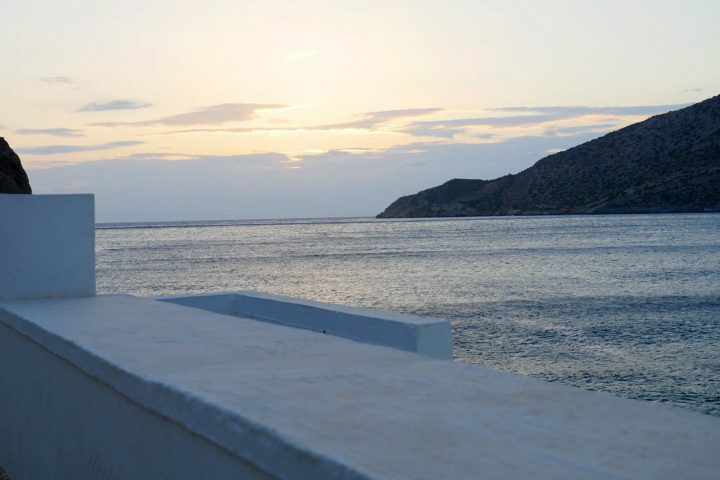 I stayed taped a while and I sat, admiring the sea, mesmerized by it. 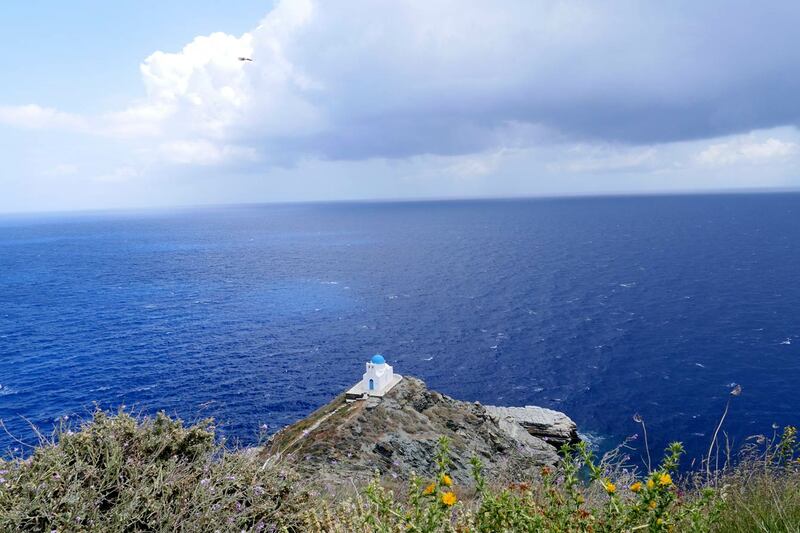 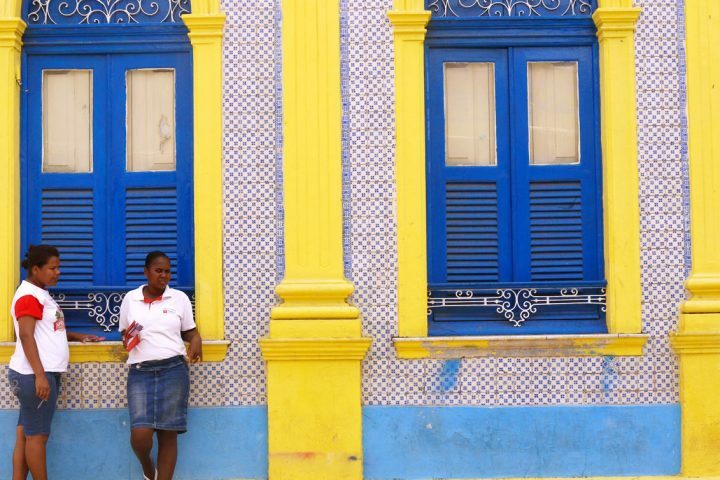 It was very difficult to extract me from my reverie as the scenery was unusual. 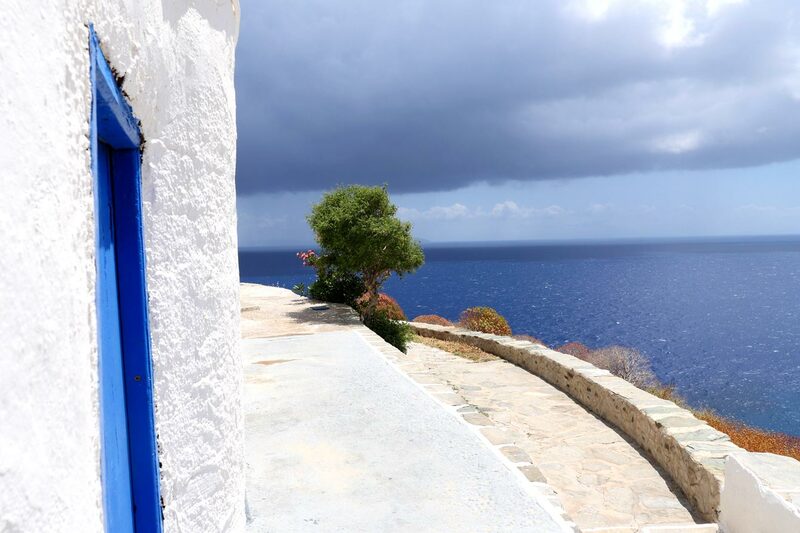 guaranteed unique experience. 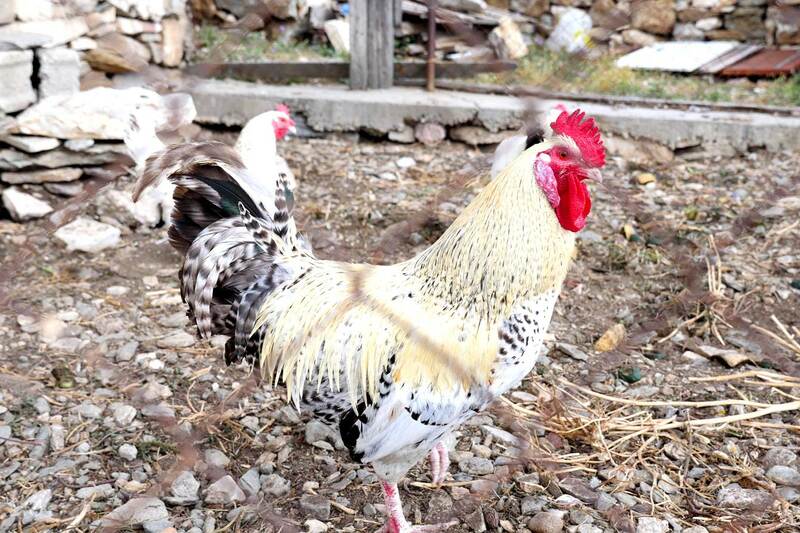 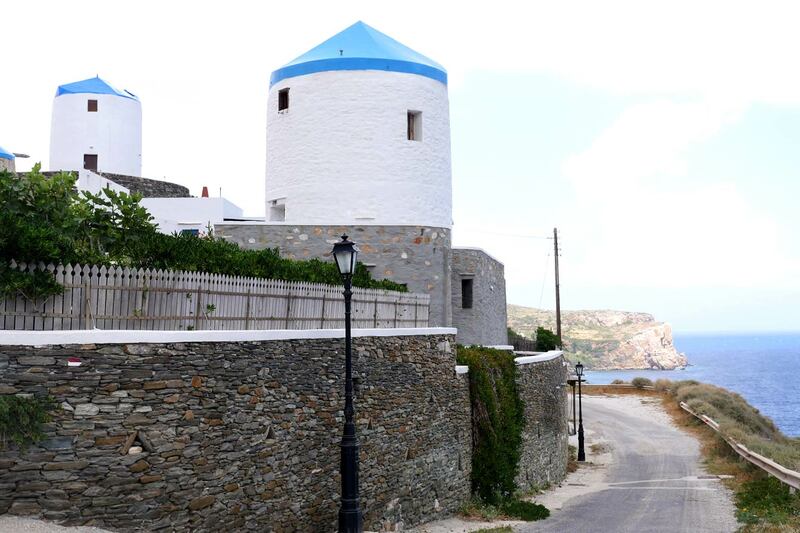 During this trip, on the road we discover that Kastro differs from its environment by being surmounted on a hill. 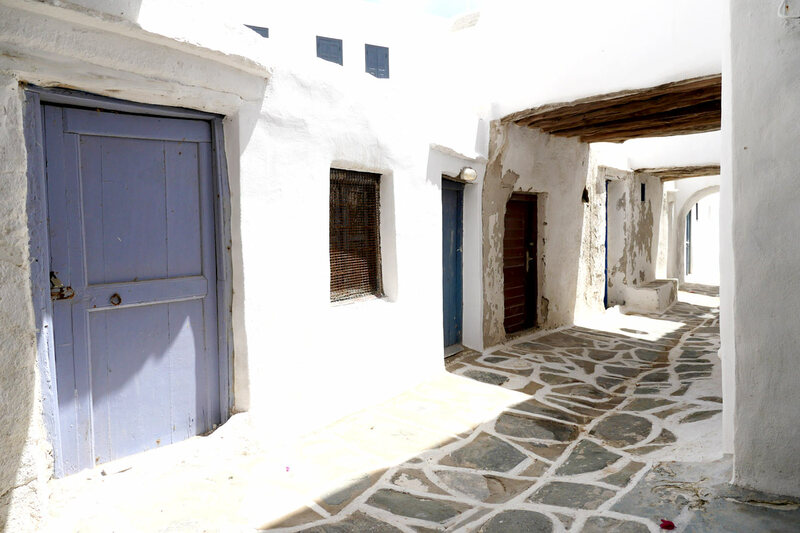 Arrival at the village entrance, one is attracted to bars, restaurants, especially Dolci and a few nearby businesses giving views of the valley of Erkies. 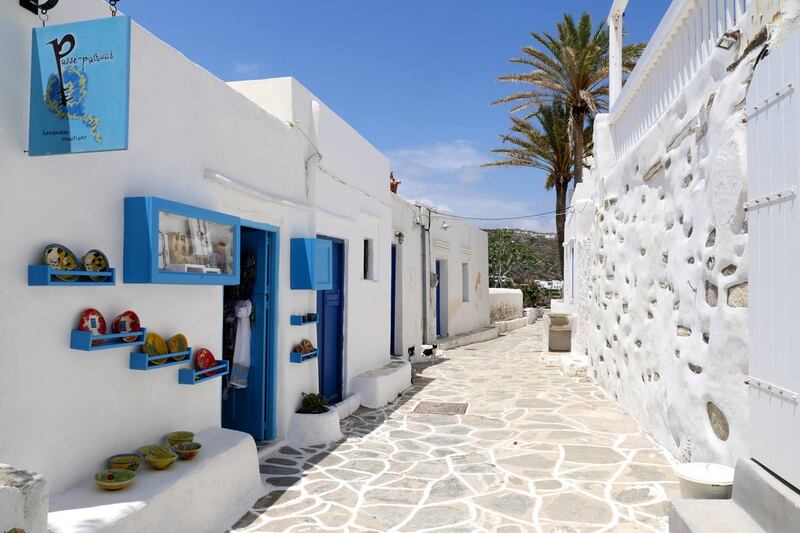 You do not come to Kastro for shopping. 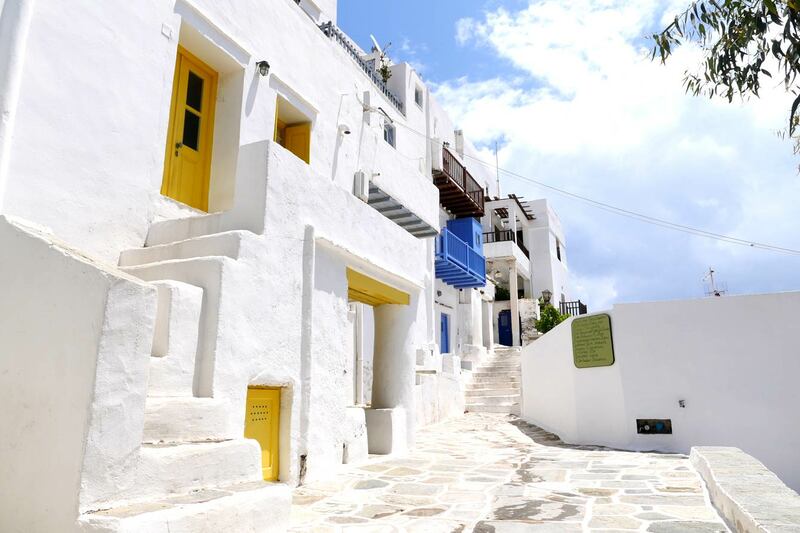 sea side and the village center, it is very residential. 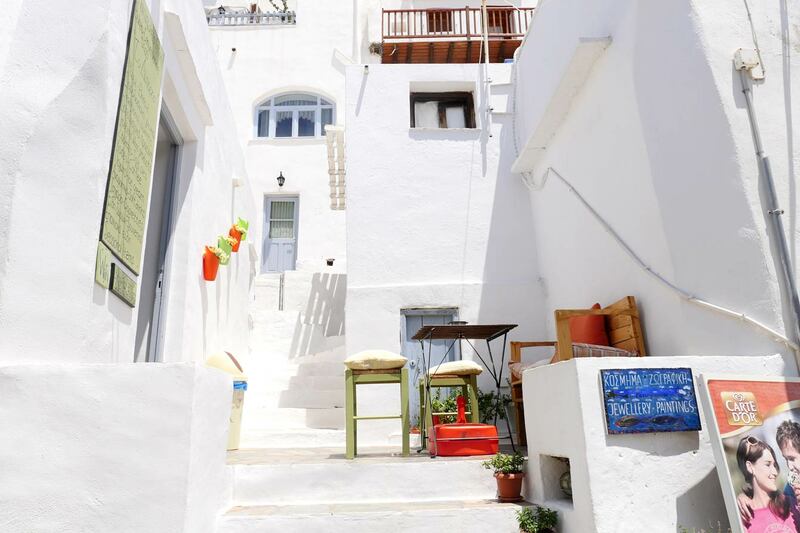 Kastro is very « compact » due to a lack of public areas, of course, and the presence of many narrow roads and houses huddled against each other. 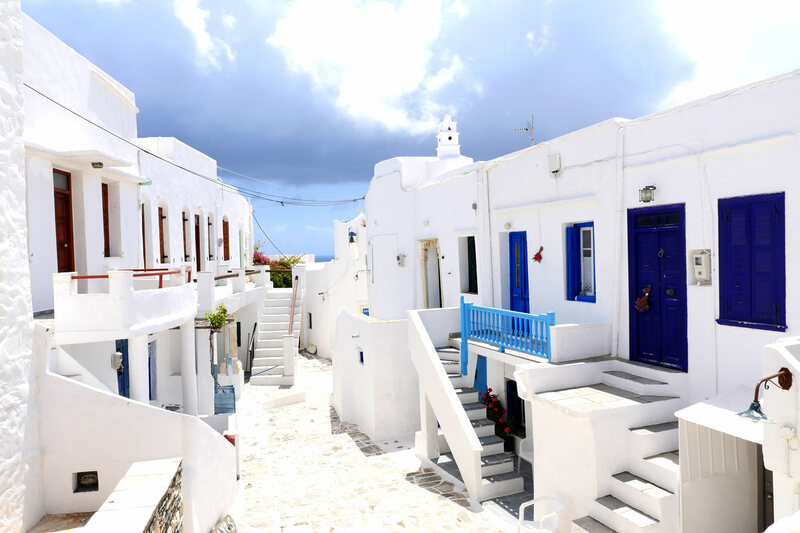 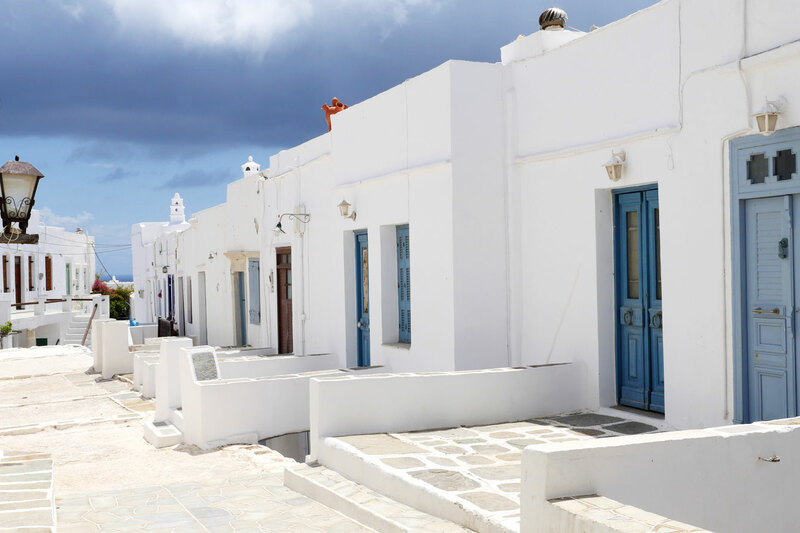 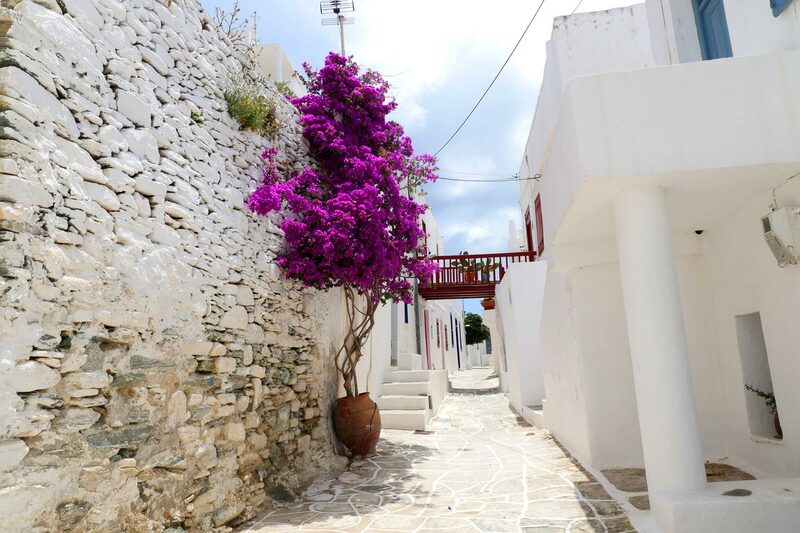 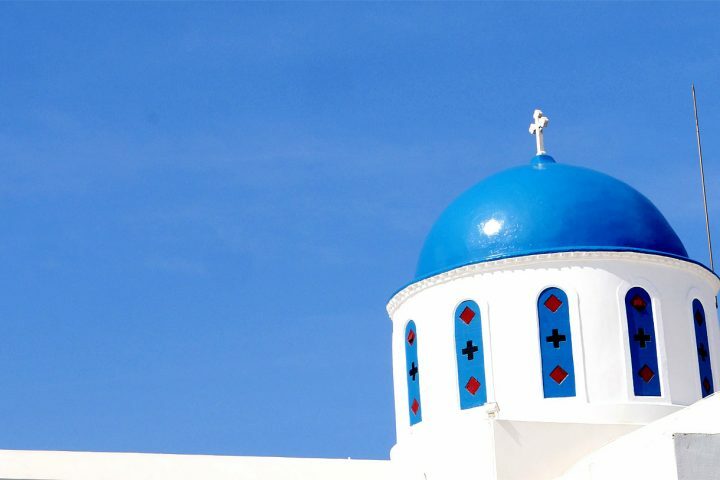 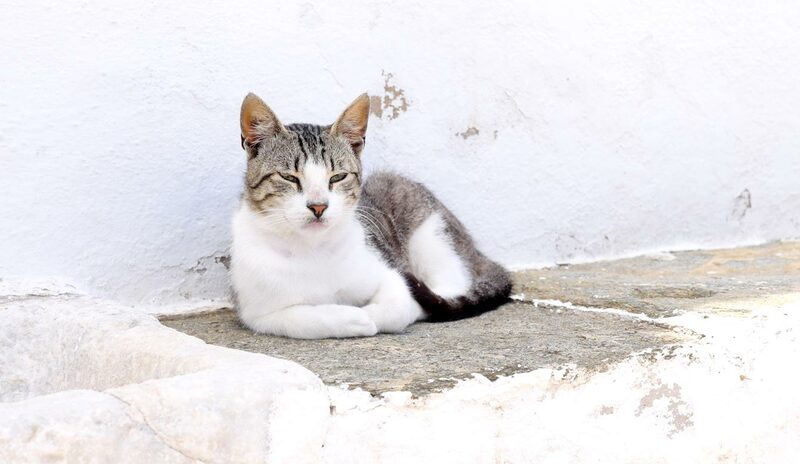 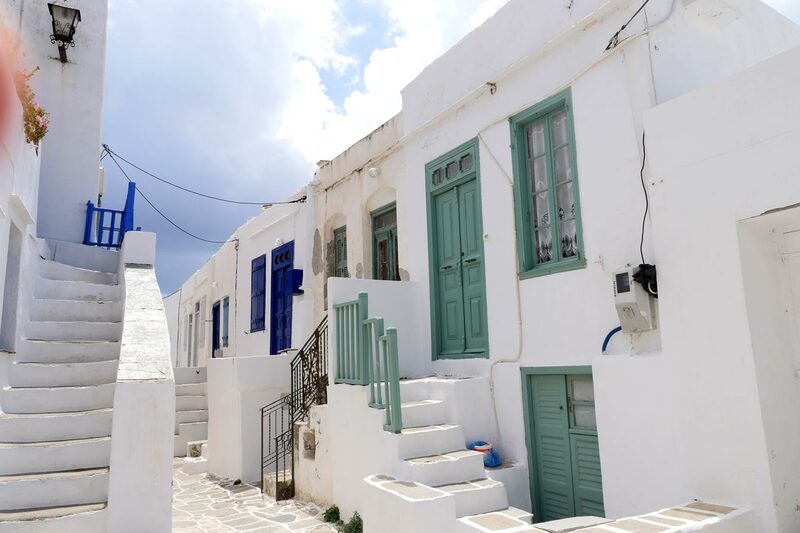 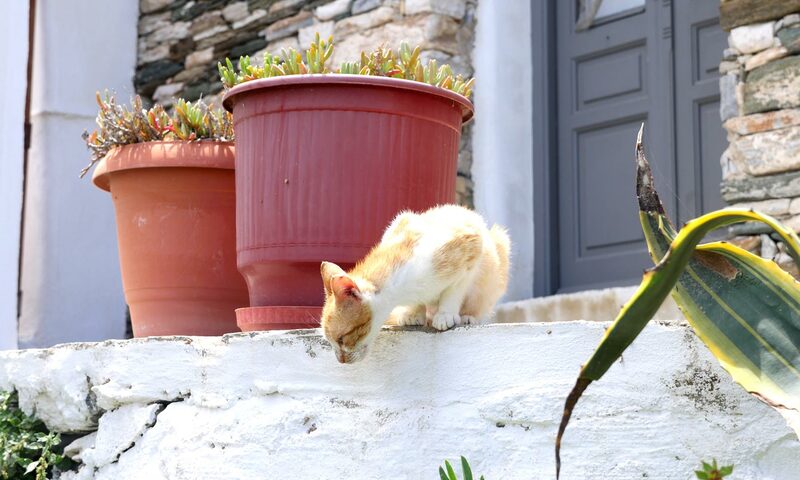 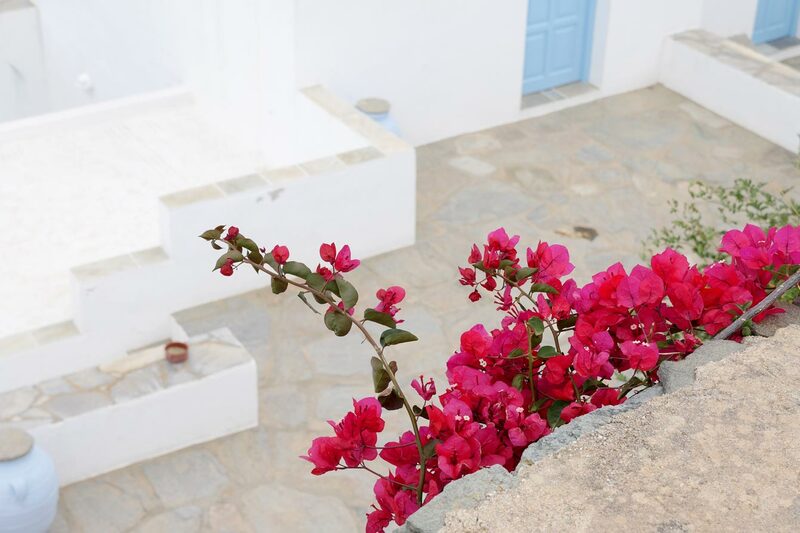 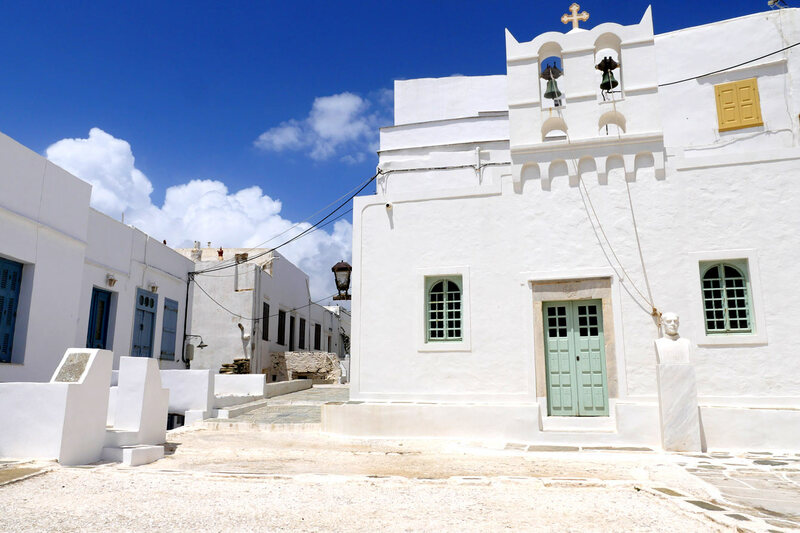 For some travelers, Kastro is the most beautiful Cycladic village.